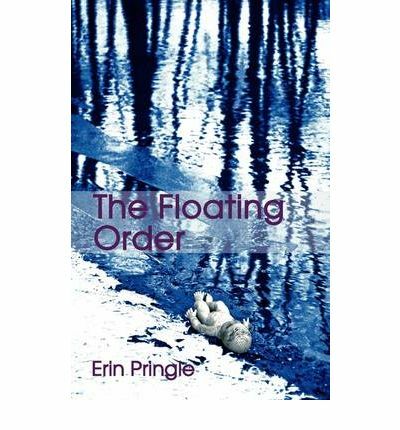 The wonder of The Floating Order, a collection of short stories by Erin Pringle, is that it is impossible to pigeonhole. At their heart the stories have a darkly fantastic edge, but this aspect is more often than not a component of the character’s view of the outside world. Skewed perspectives dominate, particularly in the first half dozen or so stories, which offer the fragmented observations of damaged personalities. In ‘The Floating Order’ a young mother commits the most heinous of crimes; as a sustained study of mental disorder it’s hard to beat, delivering as it does an achingly melancholic and horrific impact. In ‘Cats and Dogs’ a young girl waits anxiously for her mother to drop out of the sky like rain so they can return to some semblance of a normal life. ‘Losing, I Think’ focuses on the loss of children in all its guises. Some stories stray into more macabre territory. ‘Sanctuary’ tells the story of a furniture removal man, tasked with the job of moving an upright piano from one church to another, who makes a truly gruesome discovery. What makes the story stand out is the thoughtful approach Pringle takes with the piece and the unexpected denouement. As ‘Halfway There’ unfolds, every parent’s nightmare is realised with an appalling, slow-motion intensity. In the surreal ‘Digging’ a young brother and sister try to come to terms with their homicidal mother and search for ways out of their imminent dispatch. ‘All I Have Left’ has something of the folkloric feel about it, but with the dark brutality of early folk tales before they were sanitised in more modern times. Most of the stories are told from the viewpoint of a child and are all the more effective for that, allowing Pringle to illustrate genuinely awful acts and situations with an innocence that heightens the tension and drama. ‘Raw as Hands’ shows how a young girl copes with a twin sister addicted to scrubbing herself clean perpetually. In ‘Rabbits’ a little girl with measles outfoxes her nurse with shocking results. ‘Skeletons/My Fourth Birthday/Hell is Channel Three’ portrays a four-year-old’s perspective on the loss of her father to war. ‘Why Jimmy’, one of the highlights of the collection (along with ‘The Floating Order’, ‘Sanctuary’, ‘Halfway There’ and ‘Rabbits’), brilliantly catches the casual, and yet innocent, brutality of a young girl committing a bizarrely grisly act. Sown into the narrative is a healthy leavening of humour, all generated by the young girl’s unintentionally comic observations. This same innocence in the face of terrible events is used to good effect in ‘Every Good Girl Does Fine’, which revolves around a chain reaction of events at a choir practice that result in a bloody finale. It’s Pringle’s ability to get inside the mind of a child and see the adult world from their perspective that is the real strength of this collection. Another is the shifting nature of reality from this perspective. There is also very little in the way of gratuitous detail when it comes to revealing exactly what happens; it’s all the more chilling when your imagination is engaged in this exercise. Sounds interesting and different John. It’s great to see books like this, and Box of Delights, hitting the shelves. I’ve written a couple of flash fiction stories that tread lightly on the dark side. Readers were surprised, thought they were good but not what a short story/flash fiction should be. I don’t know what that is – is there a formula that I’m unaware of other than it being a complete story in a certain amount of words? When asked, they said a short story should be like Frank O’Connor’s ‘First Confession’. It’s a brilliant story and has stuck in my mind since childhood but I’m sure if he were writing today, he’d have moved on? Not necessarily to the macabre but to a style that reflects the era even if he was harking back to the past. It seems to me that with the advent of Erin Pringle’s book, and others like it, that we can finally move on. It is different, and beautifully written. I’m curious that you’re finding readers are saying what a piece of flash fiction should or should not be. I’m deeply suspicious of anyone who maintains a short story ‘should’ be like blah-de-blah or so-and-so. No matter how good the source mentioned is, the viewpoint is narrow and constraining for a writer. Isn’t that the beauty of literature? It’s variety? For too long Irish writers have laboured in the long shadow cast by Joyce et al, obsessed with writing what they think will be acceptable rather than what they really want to say.